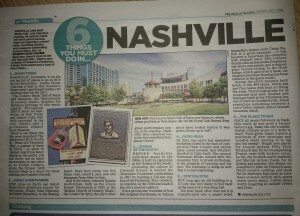 This is my piece on Nashville, published in the Mail on Sunday. Music City was chosen by Lonely Planet and Rough Guides as one of their top ten cities to visit in 2016. As well as round the clock performance, there are legendary concert halls, recording studios and museums celebrating the titans. And a full-size replica of the Parthenon.